The Random Crayon Oh look, a crayon in my shoe. I stumbled on this at Whole Foods and after much hemming and hawing at plunking down 14 bucks on pit stick, I decided to give it a go. Paraben and Aluminum free I was 99% sure it would end up banished to my medicine cabinet with the rest of stink inducing failures that I’ve tried (Tom’s of Maine, I’m looking at you). I was blown away at the fact that it does actually work. I do reapply during the day since I work out a lot, but this has made it through runs and grueling Pound workouts and I don’t smell like the living dead afterwards. I have the Vanilla scented one which seemed strong but actually has a nice scent when it is being worn. It doesn’t stain my clothes and I haven’t had any issue with razor burn. Win win. I had a hate hate relationship with eyeliner. I’d think I found a good “natural” liner only to have it slide off my face so I looked like Cosplayer for Rocky Horror. 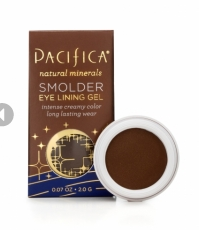 I kept waiting to see if Target would get Smolder in stock since they carry a limited line of Pacifica but I finally gave up and ordered it. LOVE LOVE LOVE. I ordered both the Tahitian Pearl and Anchor and it was AMAZING what Anchor did to brighten up my tired (aka I have 2 kids) eyes. It survived a run and came off easily when I washed my face. This gel liner is my new B.F.F since it doesn’t look like I’ll be getting 8 hours of sleep anytime soon. 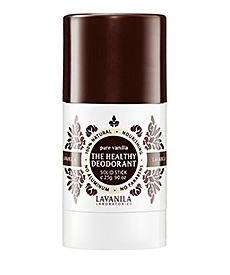 As tinted moisturizers go this one is my favorite. It gives a very sheer wash of color with some anti-aging botanical ingredients. I like it because it makes my skin feel happy and not greasy and while it isn’t enough alone if I need some serious splotch busting, it makes a really good base for my mineral powder so that it doesn’t settle in all my nooks and crannies (apparently when you hit over age 30 your face turns into an English muffin). No matter how many foundations I try, I always go back to Honeybee Gardens. I typically combine two colors, Supernatural and Luminous and always get really great coverage without looking caked on. My skin doesn’t freak out, there are no strong smells, and it lasts all day. You just can’t go wrong with their foundation which is even Bismuth and Talc free. Many mineral foundations will settle into fine lines and make you look older, but the pressed foundation just makes my skin look silky. I cannot go without this one. 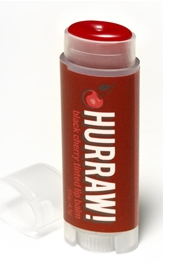 I’ve raved about Hurraw before but I just cannot get enough of their Black Cherry lip balm. It smells so yummy and it gives the perfect wash of color and feels so nice on. I’ve started stashing these all around my house like Easter eggs. 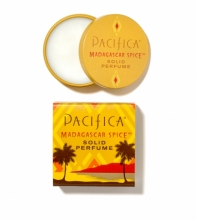 This solid perfume is the perfect fall scent. Spicy and warm with the scent of cloves. This is my current favorite perfume. I’m a little addicted lately to Pacifica in general in case you can’t tell. I’m a sucker for natural beauty products and when I find a brand I like I try to explore as much of their line as possible. The nice thing about the solid perfumes is that they are super portable and you can layer them. I’ve done Island Vanilla and Madagascar Spice together and the combination smelled great (though I oddly wanted to bake something). My next order, I want to try the Malibu Lemon Blossom. Copyright © 2016 CosmoThemes. All rights reserved.